Any chance the Pilots' D can give them a chance in this one? The SLTrib also says a win will clinch 3rd place for BYU, so they must have the tiebreakers over USF and SCU. They've beat USF twice, but split with SCU. Emery could score two points, like last game, or he could score 26 like he did a week ago against USD. Keeping him under control, and handling their pressure, are key. Ray said he's "ready" for Senior Night and BYU. I think he and Phil get pretty pumped-up when playing against the "bigs" in the WCC...but once again rebounding and scoring in the paint will mean the difference between winning and losing. 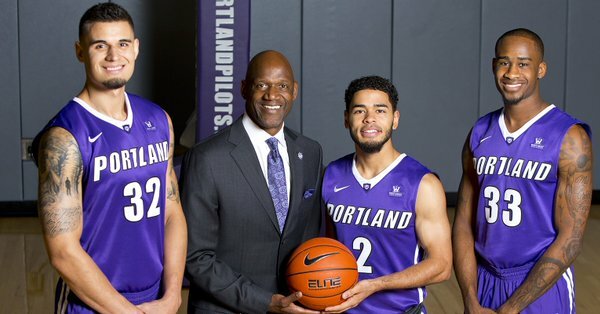 Just based upon what I'm hearing (and reading on PN), the seniors may not be the only players participating in their last Pilots' home game. The last 45 seconds of the half were too predictable. This team is something else. Am I the only one who thinks the recorded music played in the Chiles Center is consistently about 40% too loud? Interesting night. We got to see Kobe, and Bobby Knight and his chair. NoPoNeighbor wrote: Am I the only one who thinks the recorded music played in the Chiles Center is consistently about 40% too loud? That's why I wear earplugs! Wait, that's because I'm in the band. In all seriousness, I think one of the amps for the sound system blew last week, so things do sound different and "louder."